Urban neighborhoods often suffer before they ultimately make a triumphant comeback. 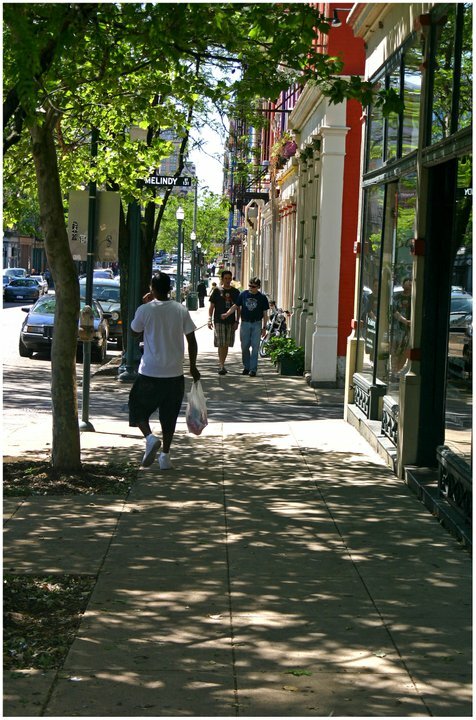 Whether the neighborhood is Brooklyn or Over-the-Rhine, urban neighborhoods rely on critical populace that is willing to take a chance when others are not. These people are what we call urban pioneers. This scenario is the topic of Soapbox’s next speaker series event to be held at the Niehoff Urban Studio in Corryville. Urban Pioneers – The Cult of Personality will gather four of Cincinnati’s most relevant urban pioneers who have helped to transform once downtrodden neighborhoods like Mt. Adams, Northside, and Over-the-Rhine. Organizers say that guest panelists will include Neil Bortz, Matthew Wirtz, Maureen Wood, and Terry Chan who will discuss what it takes to succeed in bringing a vision to reality by revitalizing parts of a city one building at a time. The discussion will be moderated by the former director of UC’s School of Architecture & Interior Design Michaele Pride. While organized by Soapbox Cincinnati, the speaker series is sponsored by the Niehoff Urban Studio and heavily attended by the those involved in the Urbanist movement in Cincinnati. Founder of the Cincinnati Urbanist movement and poltics teacher at UC’s School of Planning, Terry Grundy, further explained the intricacy of urban pioneers to UrbanCincy. Grundy says that these initial urban pioneers are often followed by a group of “semi-pioneers” who move in before the neighborhood has fully turned around, but only after the initial risk was taken away. Urban Pioneers – The Cult of Personality if free to attend, but organizers are requiring reservations be made online in advance. The event will take place on Wednesday, October 27 from 5pm to 7:30pm at the Niehoff Urban Studio (map). Registration and happy hour will begin at 5pm.